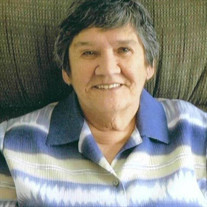 It is with sadness that we announce the passing of the late Flo Martin, formerly of Fort St. John. A service will be held Wednesday, July 11th at 11:00 am from the Catholic Church of the Resurrection. In lieu of flowers, expressions of sympathy can be made in memory of Flo to the BC Children's Hospital.